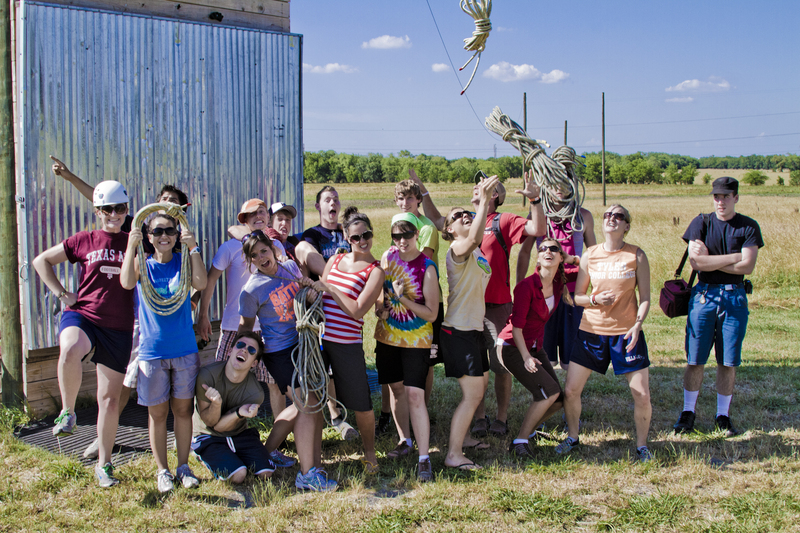 Our School Programming Group provides Outdoor Education and Team Building experiences that are second to none! Conveniently located just 30 minutes east of downtown Dallas near Rockwall, Sabine Creek Ranch welcomes schools from across the Metroplex and beyond, and countless students and teachers have experienced the wonderful programs we offer. Let our team guide you through the life and lessons learned on over 300 acres of a working Texas cattle ranch. 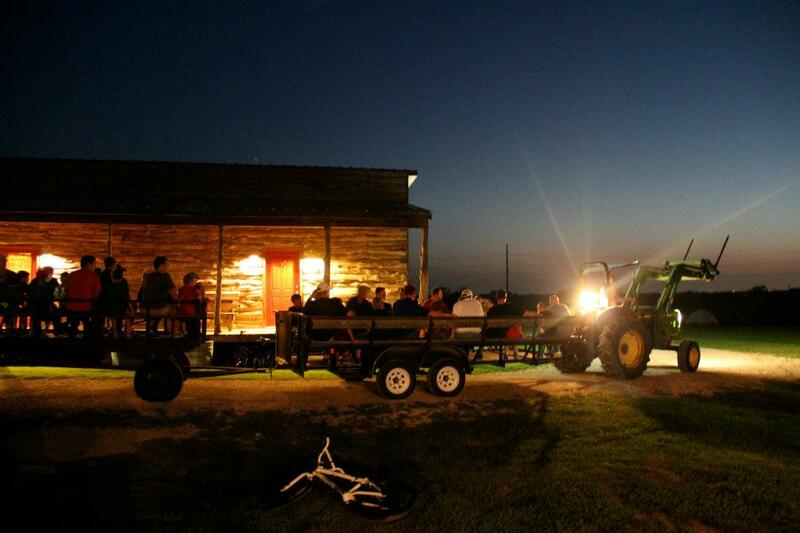 Our beautiful setting, enthusiastic staff and customized programming will make your time on the ranch unforgettable! 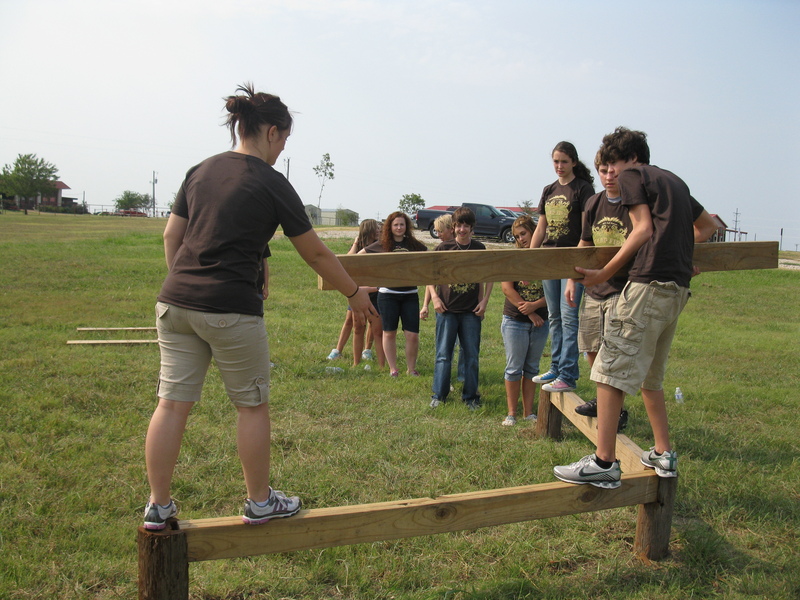 A one day trip to Sabine Creek Ranch is perfect for many school groups. We customize a special, age-appropriate program for each group, including team building, experiential outdoor education, and of course, fun! The environment of a working ranch and farm provides a living laboratory for students to see nature and agriculture in action. 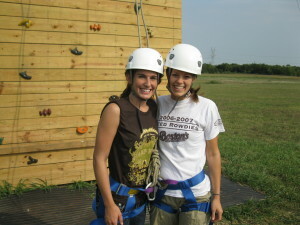 Our state licensed and inspected facilities include a team building course and high ropes elements. Our food service team can provide a delicious and nutritious lunch in our air-conditioned dining hall if desired. Perfect for students in third grade and above, overnight outdoor ed and team building retreats provide the ultimate experience. Our staff will lead class sessions developed by certified teachers that are consistent with the TEKS standards for the state of Texas. 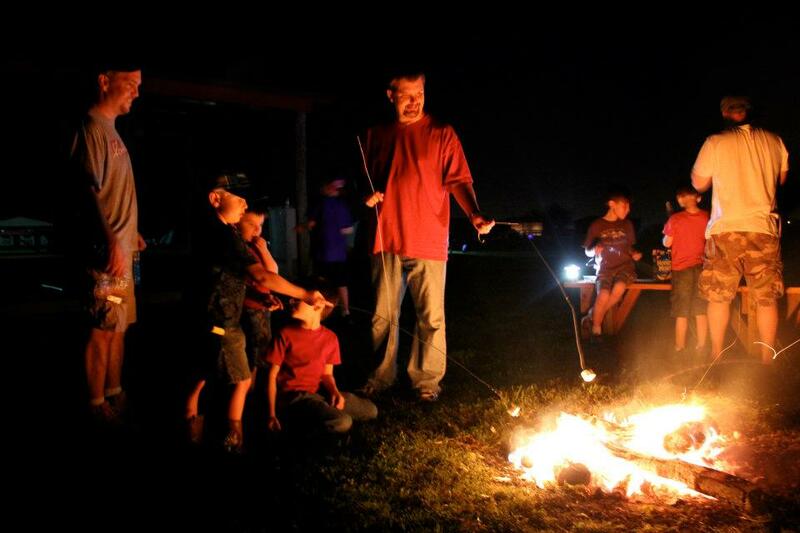 Stay for one or more nights, and enjoy events such as: hayrides, campfires, fishing, and everyone’s favorite…the Nerd Prom! Amenities at Sabine Creek Ranch include clean, climate controlled bunkhouses with continuous hot water, dining hall with chef-prepared, crowd-pleasing meals, canteen and gift shop, lighted arena, beautiful meeting rooms, a full ropes course, and the list goes on. 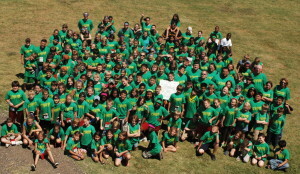 Thousands of campers enjoy their time here at the ranch every year! We have developed an excellent educational program with your group in mind. Our one-of-a-kind curriculum was designed exclusively for Sabine Creek Ranch. We are committed to helping students discover, understand and enjoy the world around them. Lessons on team building, sustainable agriculture, conservation, pond life, orienteering and more are sure to captivate students and complement what they’ve learned in the classroom. Sabine Creek Ranch isn’t just for kids! We offer the perfect program for your school staff development days. Whether you want to bring your team to a convenient off-site location for a meeting venue with delicious, chef-prepared meals, or you want us to provide additional program and team building options, your staff will enjoy this memorable day and go home with a fresh desire to excel! In founding Sabine Creek Ranch, Eddie and Sarah Walker brought a lifetime of experience in farming and ranching, camp and retreat programming, speaking, music, public school teaching, and working with children and youth. Eddie has spoken and provided music and entertainment for camp and retreat groups for over 30 years. 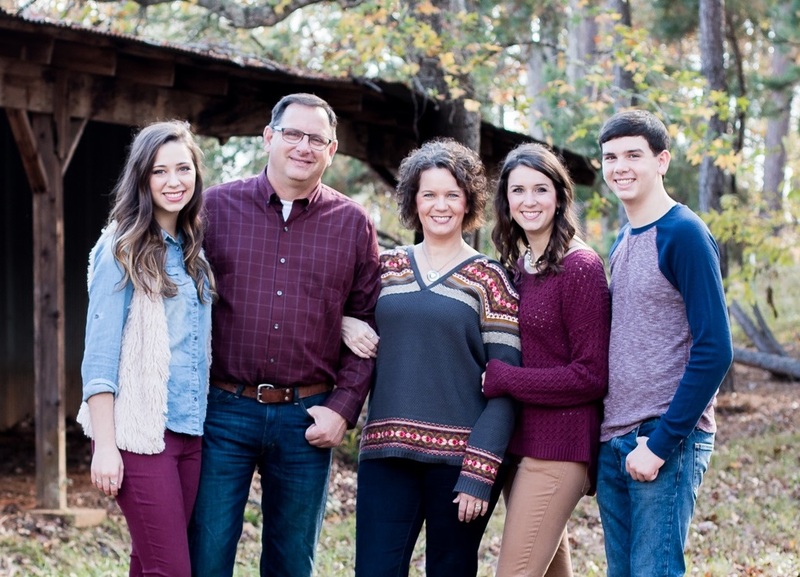 Sarah is an experienced school teacher and administrator, and ensures that Sabine Creek Ranch is a great experience for our guests. They enjoy the ranch with their three children, Cate, Caroline and Cole. Ed is also director of the Camp/Sport Leadership degree program at Dallas Baptist University. This growing, innovative program prepares DBU students to serve as leaders in the finest camp and outdoor education programs across America and beyond. (Dallas Baptist University was recently named the #1 university in America for its elementary education program!) Ed also consults for camps, serves in leadership and professional capacities in the camping industry, and networks with camps across the country. He has a Master’s degree in Education and is currently pursuing his doctorate in Educational Leadership. Contact a Sabine Creek team member today!